For the 75th anniversary of Buhl Planetarium, a scale-model of Pittsburgh's original Buhl Planetarium and Institute of Popular Science building joins scale-models of other Pittsburgh-area historic structures on the platform of the Miniature Railroad and Village. After starting at a private home in Brookville, Pennsylvania in 1920 and moving to Buhl Planetarium in 1954, the Miniature Railroad and Village exhibit is now displayed at The Carnegie Science Center. Tomorrow (Black Friday: November 28), the 60th annual exhibition, in Pittsburgh, of the Miniature Railroad and Village opens at Pittsburgh's Carnegie Science Center, and the platform now includes a scale-model of Pittsburgh's original Buhl Planetarium and Institute of Popular Science building, in celebration of the 75th anniversary of Buhl Planetarium. The model of Buhl Planetarium, constructed using new laser-cutting technology (relying on original photographs of the building), joins scale-models of other historic Pittsburgh-area structures such as the original Allegheny Observatory (1861 to 1912), Monongahela Incline, Pittsburgh Pirates' Forbes Field, and Pittsburgh's original Rodgers Air Field. The Miniature Railroad and Village, which depicts life in a small town and environs in Western Pennsylvania circa 1880 to 1930, is one of the largest, most detailed, and most animated model railroad layouts in the country. The current platform at The Carnegie Science Center measures 83 feet / 25 meters long by 30 feet / 9.1 meters wide, 60 percent larger than the original platform in the Bowdish Gallery of Buhl Planetarium. Although the number of Lionel model trains on the platform varies, often five trains (including at least one passenger train) and one trolley-car run throughout the Miniature Railroad and Village, of course, along with the historic Monongahela Incline (oldest and steepest inclined plane in the country). The Miniature Railroad and Village began, on Christmas Eve in 1920, in the home of World War I U.S. Army veteran Charles Bowdish in the small town of Brookville, Pennsylvania, located 69 miles / 111 kilometers north-east of Pittsburgh. The display quickly became very popular in Brookville. The management of Buhl Planetarium learned of the display's popularity in Brookville and offered to host the display in Pittsburgh. It started exhibition in Pittsburgh in 1954 as a Christmas holiday display. However, soon after encountering one-to-two hour waiting lines for people waiting to see the exhibit (particularly during the holiday week), it quickly became a Pittsburgh holiday icon. 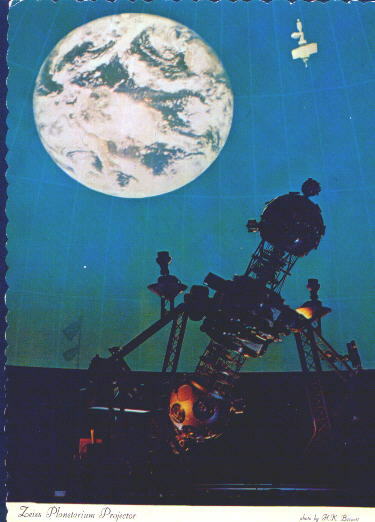 The exhibition was soon extended to be on display November through February each year, and the revenue generated by admission ticket sales during those four months pretty-much paid for the rest of the year's operation of Buhl Planetarium! After the Buhl Planetarium closed as a public museum in 1991, the Miniature Railroad and Village was moved to the second floor of The Carnegie Science Center, directly across the hall from the new Henry Buhl, Jr. Planetarium and Observatory, and expanded, reopening a year later. At The Carnegie Science Center, the exhibition is open ten months of the year, closing in early Autumn for maintenance and reopening on Black Friday, the day after Thanksgiving Day. While on display at Buhl Planetarium, the display had always opened to the public at 1:00 p.m. EST on the first Friday in November. Black Friday was sometimes the busiest day of the year at Buhl Planetarium, along with other very busy days during the Thanksgiving Weekend and the holiday week between Christmas and New Year's Days (at that time, Buhl Planetarium was open every day of the year except Christmas Day). The Miniature Railroad and Village was the primary reason for these very popular days, along with the annual "Star of Bethlehem" sky drama performed in Buhl Planetarium's Theater of the Stars. When the Miniature Railroad and Village moved to Pittsburgh, it was first known as The Great Christmastown Railroad and displayed in the South Gallery on the lower level of Buhl Planetarium. In honor of the exhibition's creator, the exhibit hall was renamed Bowdish Gallery in November of 1983, the only time a Buhl exhibit gallery was named after an individual. The suggestion to rename the gallery was made by SpaceWatchtower Blog author Glenn A. Walsh at a Buhl staff meeting on 1983 February 28. At the time, Charles Bowdish's health was failing, and the author felt that the gallery should be renamed while Mr. Bowdish was still alive, so he could enjoy the accolade. Mr. Bowdish, in a wheelchair, did attend the renaming ceremony, the last time he visited his creation. The Carnegie Science Center is located on the North Shore of the Ohio River, at One Allegheny Avenue on Pittsburgh's Lower North Side. It is located a short block from the Allegheny Station of the Port Authority of Allegheny County's Light Rail Transit / Subway system. The Carnegie Science Center is normally open to the public 10:00 a.m. to 5:00 p.m. EST Sunday through Friday and 10:00 a.m. to 7:00 p.m. Saturday. This year, during the Thanksgiving Weekend, the Science Center will be open on both Friday and Saturday from 10:00 a.m. to 7:00 p.m., while the building will be closed on Thanksgiving Day and on Sunday. Due to the fact that the Pittsburgh Steelers' Heinz Field is located directly across the street, the Science Center is normally closed on days the football team plays a day game at home, such as on November 30. It is always closed on Thanksgiving and Christmas Days. Also on display-only, in The Carnegie Science Center's Atrium Gallery on the first floor, is Buhl Planetarium's historic Zeiss II Planetarium Projector, which served as the only planetarium projector ever used at the original Buhl Planetarium, during the entire duration of the original institution: 1939 to 1991. It was the first planetarium projector to be placed on an elevator, custom-built with four huge worm-gears by Pittsburgh's Westinghouse Electric Company. Pittsburgh's Zeiss II Planetarium Projector was the only Zeiss II to never receive any major modifications. Hence, by the 1990s and before it was dismantled in 2002, it was the oldest operable major planetarium projector in the world! These blog which one you posted is really good.